Africa Movie Academy Awards winning director Dickson Iroegbu is set to roll tapes soon for his first ever-international movie project. 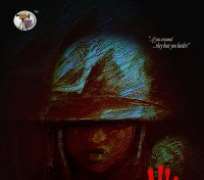 Entitled Child Soldier, the movie is estimated to gulp over $ 2 million. And surprisingly, Iroegbu and his team have vowed to raise the staggering amount of money as soon as practicable. On why he is tinkering with the idea of such a gigantic project, Iroegbu, reminded us that according to statistics made available by UNICEF, over 300, 000 children under 18, are currently being exploited in over 30 armed conflict zones world wide, hence the need for the project. “Amnesty International estimates that child soldiers are children robbed of their childhood and exposed to terrible dangers as well as psychological and physical sufferings. It is in the light of this glaring reality that we embarked on this laudable and achievable project. Besides, it's a socially relevant issue and we know that this movie has a global concern. We also know that it would attract global interest and involvement from diverse quarters”, he posited. Speaking further Iroegbu and his team stated that their vision is to use Child Soldier, to redefine and reposition Nollywood film production standards. And in order to achieve the above and further raise the bar, they intend shooting on 35mm with other state-of-the-art equipment. They would also employ the services of international film crew alongside the use of global standard production practice as well as exhibitions and marketing. Iroegbu, is optimistic that partnering with them would open up doors of opportunities for intending partners and their brands and products.